The two-mile rapid transit tunnel carved out underneath SpaceX’s Hawthorne headquarters, is part of a concept for an underground public transportation system, which aims to transport passengers and vehicles beneath congested roadways on autonomously driven electric platforms called “skates.” The skates will carry 8 to 16 passengers, or one passenger vehicle, along with magnetic rails at speeds of up to 155 mph, according to Musk. In June, the Boring Company was selected to build a multibillion-dollar rapid transit link between downtown Chicago to O’Hare International Airport, though the project’s sub-$1 billion price tag has raised questions among tunneling experts. In August, Musk said that he would build a second tunnel in L.A. to ferry Dodger fans between Los Feliz or East Hollywood and the ballpark in about four minutes for about $1. Then, Musk shared a photo of a Tesla Model S in the same Hawthorne tunnel. Then, questions were raised about whether the second Musk’s tunnel would be wide enough to accommodate an electric vehicle. 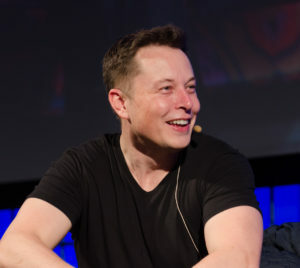 Last year, Musk said he wants to connect New York City to Washington, DC via an underground hyperloop and has received approval for the project from the Trump administration. Of course, transportation experts are still questioning whether tunnels are really an answer to traffic congestion.